I have had a few large Die-cast boxes sitting around for some time so i decided to use them for boxing up the 134GHz gear. 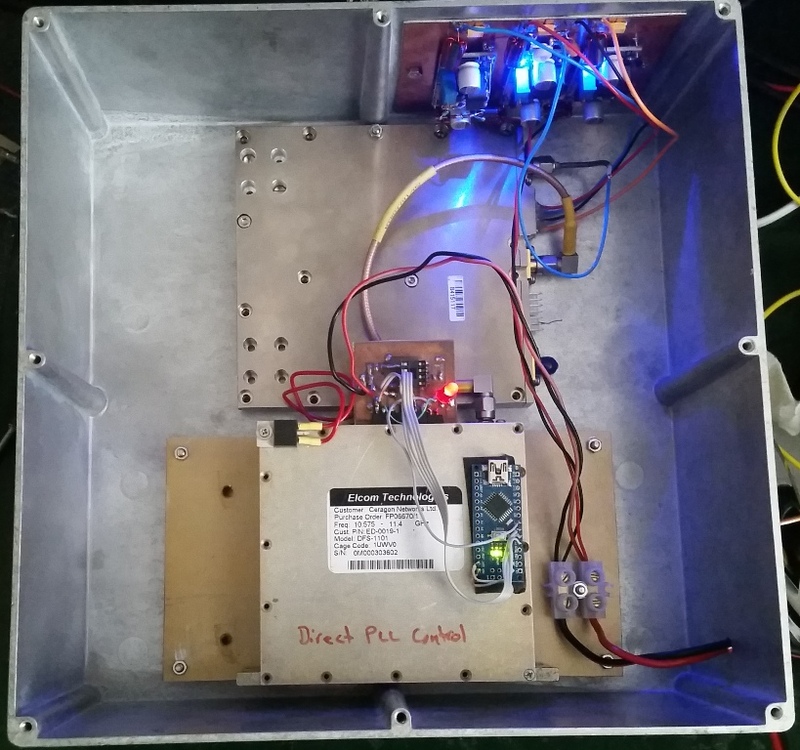 It does not look very pretty but will make it possible to get the units outside for some longer range testing! The Elcom unit gets rather hot at present so may have to mount it against the box to improve cooling but that will no doubt introduce more frequency instability. 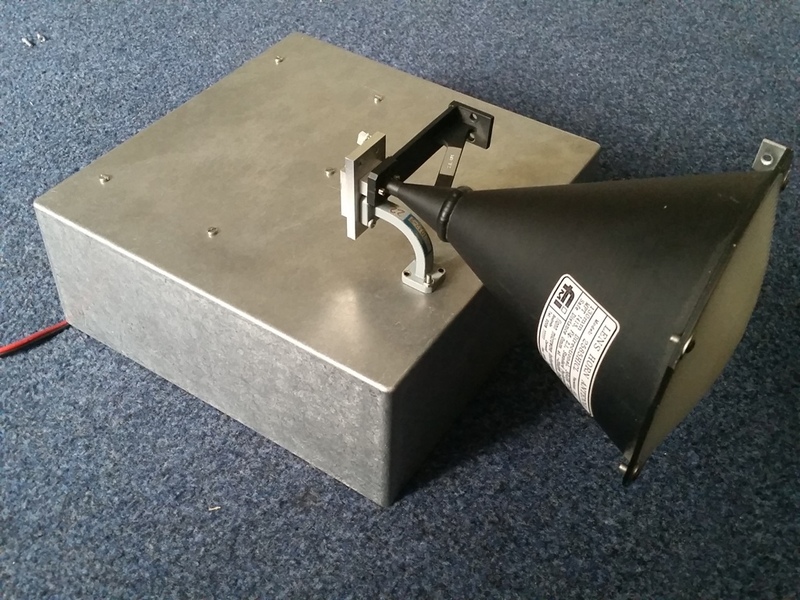 The horn came from donated Microwave Modules Microlink 60 units which worked at 58GHz. I'm still on the hunt for alternative antennas because these are not easy to come by! The horn connects to the 1.6mm waveguide with an extra block of metal, this is a round taper from 1.6mm to 3mm to improve the conversion to rectangular from round waveguide. The match is probably far from ideal but better than direct connection. 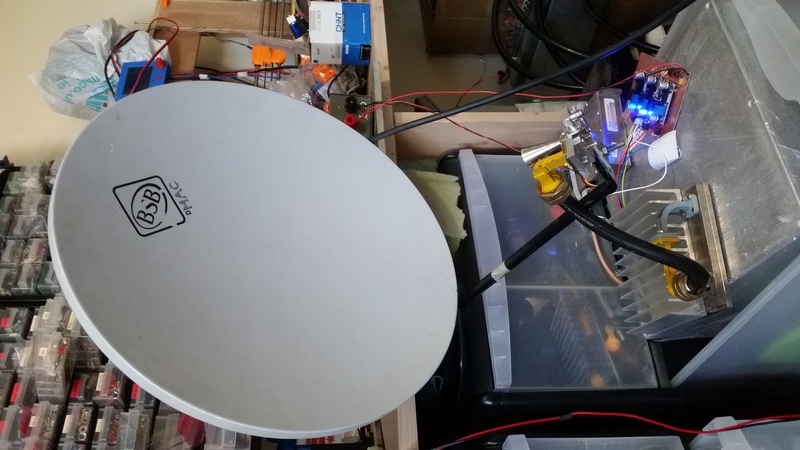 I have tested with an old Channel Master 35cm dish, this provided much more gain but not quite as good beam shape. The icing cone feeds the dish better than open waveguide!